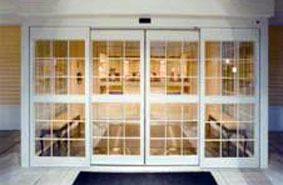 Mantario Door Control is the distributor of Gyro Tech automatic door operators for Manitoba and Northwestern Ontario. Mantario Door Control is a distributor of Enershield Air Barriers for Manitoba and Northwestern Manitoba. Mantario door Control has been servicing Manitoba and Northwestern Ontario's automatic doors for over 20 years and is a proud distributor of Gyro Tech automatic operators. We sell, install, and service our product as well as any other manufacturer in the market. Our installers are AAADMS certified and have many years experience. As well as being the largest automatic door service provider in Manitoba and Northwest Ontario we also service aluminum entrances, steel doors and hardware, sliding mall grills, access control systems and air barriers. Ask us about our "Protect Your Investment" programs. 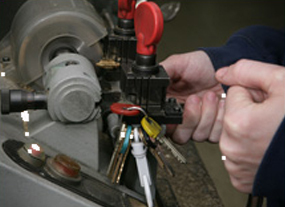 Mantario Lock and Key, a subdivision of Mantario Door Control Ltd, has over 25 years of locksmith experience. We sell, install, and repair mechanical and keyless entry locking systems. We specialize in commercial, industrial and institutional lock systems. © Mantario Door Control Ltd.